Arcade games are great time killer games. For Android, hundreds of best Arcade games are daily published by Android developers in Google Play Store. Here we cover the top new best Arcade games for Android that recently out in Google Play Store. 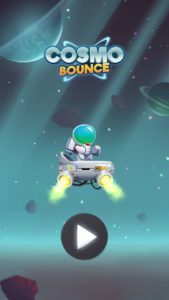 Cosmo Bounce is a new arcade game for Android by WHAT Games. 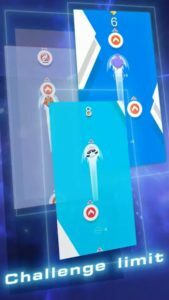 The reason which makes it one of the best addictive games for Android is its simple, addictive, and challenging gameplay; you play as an astronaut and your task is fly/jump your heroes to ever-farther pieces of floating space rocks. Its graphics are good, features cute characters, and challenging gameplay. You should give it a shot. Download the game – here[Google Play Store]. SphereHead is one of the best Arcade games for Android in which you play as a little hero and the goal is to unlock the exit. The player has to collect all the keys to unlock this exit, these keys are in different-different places, the player explores each corner, collect keys, and then head to the exit. But collecting keys is a very difficult task, the game becomes more challenging as you progress. There are many types of obstacles, everything is trying to destroy your hero, can you exit before time runs out? Download SphereHead game – here(Google Play Store). 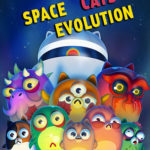 If you like cat games, then Space Cat Evolution game would be the best option. It has been released by Bannana4apps. It is a fun game in which the player merge cats to get a new cat. You just drag one to other in one move. The goal is to discover new amazing cats. There are some rules that you have to follow to get monster cats. ⇒Genre; Arcade, Offline. Download – Here[Google Play Store]. 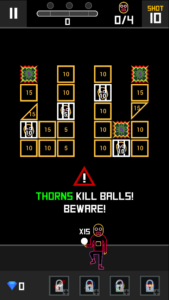 Slope Down First Trip is one of the best Arcade games for Android. It is very challenging and addictive game. 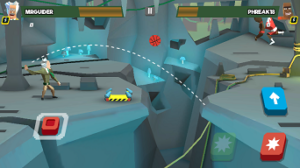 The goal in this game to get the crystal which is at the top of hills. It features amazing levels, missions, beautiful landscapes, and much more. 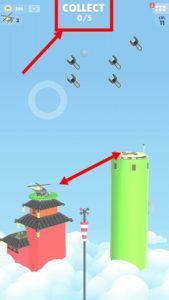 You play as a unique creature, defeat your enemy, collect gold coins, avoid obstacles, perform stunts, touch the sky. Can you handle the speed of your character? It’s very fast like lightning. Landscapes are too beautiful. There are two types of controls option; tilt and touch. 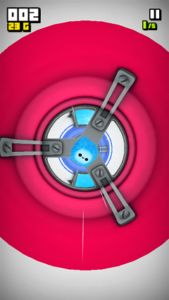 Touch controls are better than tilt mode because you can tightly control your character. ⇒ Genre; Arcade, Offline. Download – Here[Google Play Store]. 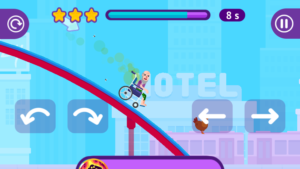 Run Sausage Run by Crazy Labs by TabTale is another one of the best Arcade games for Android. 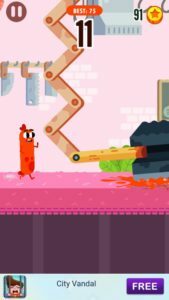 It is an endless runner game in which you play as a tasty sausage. The goal is to run long as you can. It features many types of the blade that can crush sausage in a moment. You have to be smart, fast to avoid getting sliced, chopped, burned or smashed. Collect power-ups such as shield, shrink, freeze, and enlarge to run for a long time. It is a challenging, addictive, great time killer, and fun game for Android. ⇒ Genre; Endless, Arcade, Offline. Download – Here[Google Play Store]. 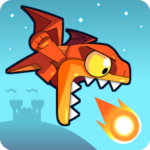 Last year’s top-rated game “Drag’n’Boom” is among one of the best Arcade games for Android in which you play as a teenage dragon and the goal is to slay down enemies with fireballs. This fast-paced game features many amazing levels, slow-motion effect, cute graphics, and a never-ending world. The left side of the screen controls dragon’s movement. The right side of the screen lets you shoot fireballs. Hoard gold and unlock new powers of your Dragon. Everything in this game is amazing. ⇒ Genre; Platform, Arcade, Offline. Download – Here[Google Play Store]. Geometry Dash Sub-Zero is an expansion of original Geometry dash game. The original version of this game is paid. The developers of this game series have released some free version for Android in Google Play Store. Geometry Dash Sub-Zero is the latest game in this series and has three challenging levels. 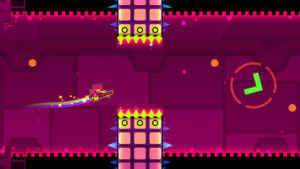 It’s a rhythm-based platformer game in which you jump and fly to pass through dangerous obstacles. If you love challenging games, then this one of the best arcade games would be the best option. ⇒ Genre; Arcade, Offline, Platformer. Download – Here[Google Play Store]. BBTAN2 by 222% is the sequel to BBTAN by 111%. It is a brick-breaking game in which the player with balls shoots the bricks to save the BB Boys. It features over 300 challenging levels, boosters, and hidden levels. Every level of the game brings a new challenge. Initial levels are very easy to complete. The goal of the player in every level is to save BB Boys. Try to get 3 stars at every level to unlock hidden levels. Complete tasks to get skills. Overall, a great challenging game. Monogolf is another one of the best Arcade games for Android. It is a light size one-shot mini golf game, featuring many challenging levels. The goal is to reach the hole in one shot. Means you have only one chance to complete a level. It features 100+ mini golf levels. You can create your own levels too and challenge your friends. It’s a great one-handed game for Android. ⇒ Genre; Arcade, Sports, Offline. Download – Here[Google Play Store]. Happy Racing is among top best arcade games for Android. It has two game modes; Single Player and Multiplayer. In single-player mode, you get 140 + challenging levels to complete. The highlighted part of the game is crazy characters and all kinds of vehicles. Vehicles such as the tractor, scooter, car, bike, spaceship, and much more are available to drive. Multiplayer mode is another best feature of the game. It has very good graphics and addictive gameplay. Racing track is not like other racing games. Hilarious game! ⇒ Genre; Online, Offline, Racing, Arcade. Download – Here[Google Play Store]. Hexa Drive is a new Android game by Oak Games. 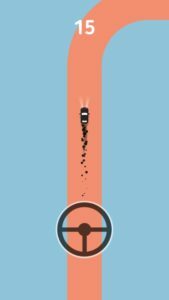 It is an endless runner game in which you control a car and the goal is to drive as long as you can. It is a simple yet addictive arcade game. 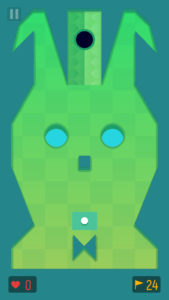 You just swipe to change the path, collect fruits, avoid obstacles, and get the higher rank. Complete the tasks to get rewards. It features In game-missions, characters like Cabby, Rusty, Chubby, and fun, endless gameplay. ⇒ Genre; Endless, Offline, Arcade. Download – Here[Google Play Store. 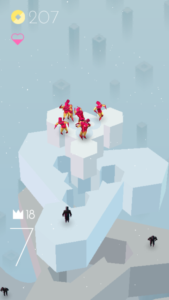 Sprint 1000M is another endless Android game. In this game, you play as animals and the goal is to get the high rank. There are various types of obstacles to throw you out of the game. You just have to tap at the right moment to move on. If you are looking for a game to pass time, then this game would the best option for you. It’s a fun, challenging and addictive Arcade Android game. Finger Drive is one of the best Arcade games for Android. 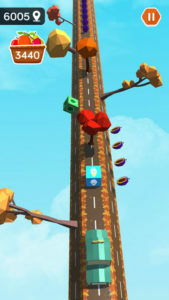 It is an endless driving game in which your goal is to drive as long as you can. Complete the missions, unlock new cars, and get the top rank on the leaderboard. 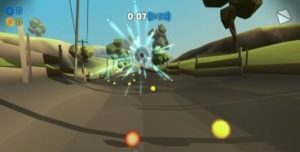 Finger Drive is a simple yet challenging game in which you have to control your car and navigate it on the road, don’t hit outside the track otherwise game will be over. Download – here[Google Play Store]. Fling Fighters is another new one of the best Arcade games for Android. It is an online multiplayer game in which you smash your opponents by pushing them into the danger area, forcing them into traps, and by throwing weapons. 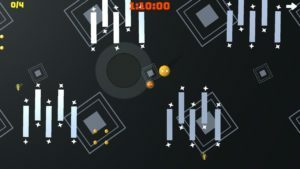 It features many game modes such as challenge mode in which you play against other players from all over the world, local-multiplayer, multiplayer, and tournaments. It’s a super fun game and you should play it. Learn more about Fling Fighters game here. Gibbets Bow Master by HeroCraft Ltd. is another one of the best Arcade games for Android in 2018. The game features top quality challenging levels that will blow your mind. In the game, the player has limited time to save all the hangman. You need to save all to play the next level. You just aim your bow and cut the rope. But it would not be easy for you because of puzzles. Gibbets Bow Master – A must play the game. ⇒ Gibbets: Bow Master Guide, Tips, Overview, And Cheats. Ketchapp, the developer team behind most best Arcade games for Android. All of the games developed by Ketchapp are very interesting, challenging, and addictive. 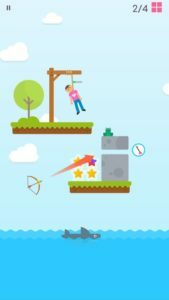 New best arcade games for Android by Ketchapp; Fit, Dunk Shot, Dunk Hoop, Stairs. All of these games are endless and best. Check out Kethapp games – here[Google Play Store]. These are some new best Arcade games for Android 2018. We’ll update this post with new Arcade games soon.